Several news outlets have reported already that the Bay Area Rapid Trasit District’s managers have started preparing for a prolonged strike. Key to their preparations is a plan to run trains along the mainline of the rail system if and when their train operators, station agents, mechanics, and other crucial employees walk out next month. 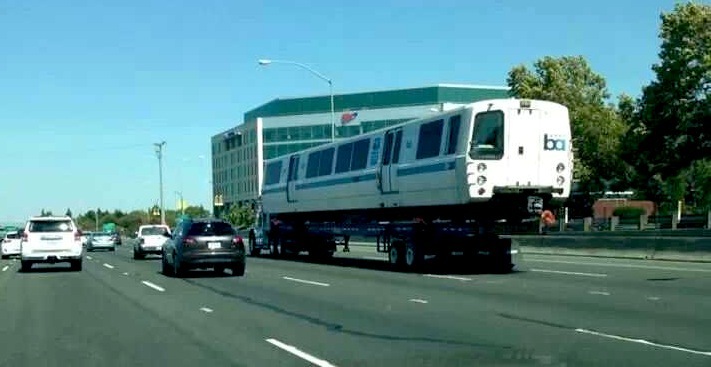 A BART train car is shipped via truck on the I-680 last week to Alstom’s facility in Vallejo where BART District managers and non-union employees are to be trained for operating a “skeletal” service during a potential strike in October. BART’s hush-hush Vallejo training facility is owned by Alstom Corporation, a French utilities and rail giant that operates everything from coal-fired and nuclear power plants to high-speed trains and urban trams across 21 countries. A search of the BART web site turned up no existing contract between the District and Alstom. 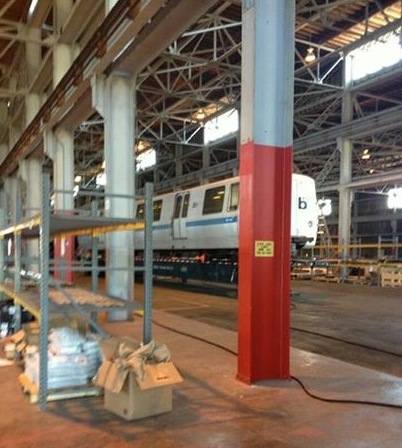 A BART train car inside the Alstom facility in Vallejo. 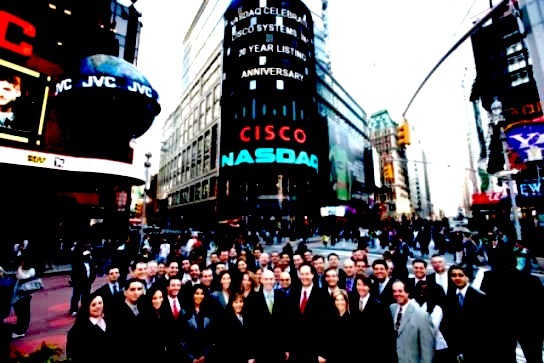 In 2011 the technology giant Cisco Systems disclosed for the first time in a filing with the Securities and Exchange Commission that its corporate treasury has been an active participant in a little-known market for loaned securities. “We periodically engage in securities lending activities with certain of our available-for-sale investments,” the company explained. Cisco’s executives disclosed that in 2010 its corporate treasury had lent out $1.5 billion worth of securities, and $1.6 billion in 2011. In 2010 Google first revealed its large securities lending program in a few sentences in its annual report. According to Google’s filing, the company lent out securities worth approximately $2.3 billion over the course of the year. It’s unclear just how long both companies have been on the lending side of this vast market for stocks and bonds. It’s also unclear how many other Internet and technology giants with spare cash are involved, but in doing so these companies are facilitating a specialized trading technique used by hedge funds and other wealthy investors to siphon money from markets. Securities lending is the necessary first step that sets in motion a multi-hundred billion dollar market in borrowed stocks and bonds, mostly shares of publicly traded corporations. Hedge funds, private equity firms, and other secretive investors borrow securities from lenders in order to sell them short. A short sale is simply a bet that the value of a particular stock or bond is going to drop. When a hedge fund borrows the stock and sells it immediately to a willing buyer they are paid the current face value of the shares in cash. 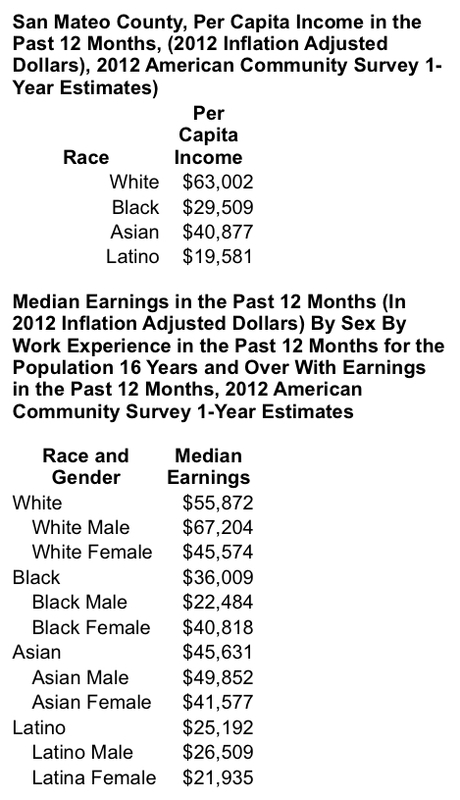 If the price subsequently drops they’ll be “in the money,” as they say in the industry. Hedge funds aim to repurchase the shares at a lower price, and when they return the stock to its original owner the hedge fund keeps most of the cash difference between the high sales price, and the lower repurchase price. Borrowing the securities makes it all possible. At least that’s how it’s supposed to work. Short selling is one of the primary methods that hedge funds use to extract money from markets, especially in bear markets. Although “shorting” stocks has been done for hundreds of years, and while many say that it serves a legitimate price-finding function in financial markets, short selling became a controversial problem during the Financial Crisis. Wealthy investors shorted the stocks of distressed banks and insurance companies to squeeze out billions in value. In the process, many believe the short sellers actually worsened the crisis by driving share prices down and causing liquidity to disappear from some markets. Between 2006 and 2010 a handful of hedge funds made billions by shorting stocks and bonds. The SEC briefly instituted a ban on the short sale of a few dozen companies’ stocks because of its impact during the crisis, and in Europe there has been talk of outright banning the practice. Many corporate executives hate short selling because it’s used to profit off the decline of their enterprises. Some have accused short sellers of manipulating markets and using the size of their gambles to actually drive down share prices — in a self-fulfilling prophecy. Short sales were the subject of intense investigations after the stock market crash of 1929. According to Charles Jones and Owen Lamont, economists at Columbia University and Harvard University, a crackdown on short selling by government officials in the early 1930s led many financiers to abandon the technique. The U.S. Investment Company Act of 1940 placed significant restrictions on short selling, but in time the tactic made a comeback. From Owen A. Lamont and Jeremy C. Stein, “Aggregate Short Interest and Market Valuations,” AEA Papers and Proceedings, May 2004. The graph demonstrates how short sellers try to time the NASDAQ market in order to capture value as share prices plummet. 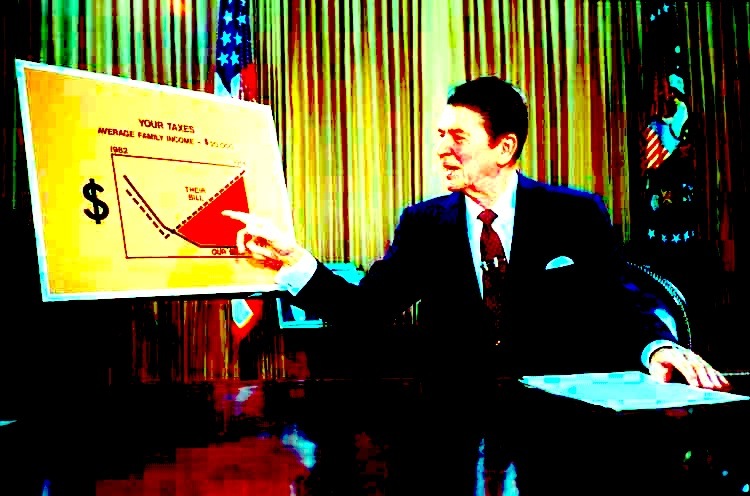 Lamont, and another economist, Jeremy Stein of Yale University, measured this comeback over several decades by calculating the ratio of the value of shares sold short to total shares outstanding for the NASDAQ stock exchange between 1995 and 2002. They did roughly the same for the New York Stock Exchange. 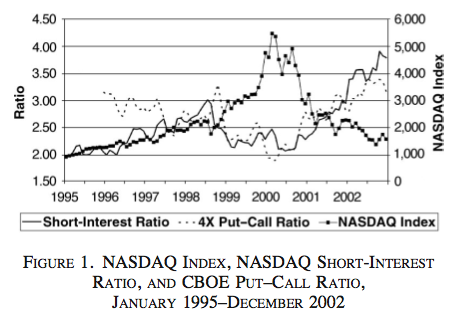 Their study of the NASDAQ showed an enormous bursts of short selling in the early 2000s as the DotCom bubble bursts, and hedge funds came in to squeeze out value from the declining shares of corporations. For the NYSE, between 1962 and 2002 short selling activity increased substantially over the entire time frame, “perhaps reflecting the growing popularity of hedge funds,” for wealthy investors, according to the authors. As of today short selling is perfectly legal, and hundreds of hedge funds and other wealthy, sophisticated investors employ the risky tactic to make money. During the burst of the DotCom bubble, and during the Financial Crisis of 2007-2009, hedge funds mostly borrowed the shares they want to short from big custodial banks that hold shares of thousands of companies that are ultimately owned by pension funds, mutual funds, foundations, and other large institutional investors. Institutional investors hold stock for the long haul and don’t care if a price fluctuates over relatively short time frames. The big institutional investors that loan some of their stock portfolio charge a small fee in order to make a profit, and they re-invest cash collateral provided by the hedge funds in safe, short-term bonds for an added return. Big tech companies are a new player in the short selling food chain. Their entrance is likely due to the enormous un-taxed earnings that many tech companies now command. Tech companies have become so valuable, and they have become so adept at minimizing their effective tax rates, that many are amassing billions in cash. Most tech giants can’t profitably re-invest these piles of cash in their company — by building a new office, factory, or plowing earnings into R&D, for example. Instead corporations like Cisco, Google, and Microsoft are holding this cash “offshore” in tax havens, and investing their treasure into the stocks and bonds of other companies. Many tech companies now have internal investment offices or specialized subsidiaries that are tasked with managing their billions. These in-house money managers at companies like Apple, Google, and Cisco control more stocks and bonds than most hedge funds and private equity firms, even if their investment strategies are much more conservative. Some companies have upwards of $100 billion in investments, mostly in government bonds, but enough in corporate bonds and stocks to provide a multi-billion dollar source for hedge funds to borrow from. Little is known about the securities lending operations of cash rich tech companies other than what appears in their SEC filings, and it appears that only a few tech companies have disclosed their operations. In its most recent annual report with the SEC, Microsoft disclosed its operation that loaned out somewhere in the ballpark of $1.4 billion in stocks and other securities over the last year. Microsoft added that “intra-year variances in the amount of securities loaned are mainly due to fluctuations in the demand for the securities.” In other words, the company’s lending rises and falls depending on the appetite of hedge funds to sell the shares of companies short. The securities lending market has been opaque for years. There is no way to see who is lending what securities to a particular borrower. Thus if Microsoft, through a custodial bank, is lending shares of Apple to a hedge fund that is betting on the iPhone maker’s decline, there’s no way to tell. If Apple is lending shares of Samsung to a hedge fund that is betting on a fall in the Korean phone maker’s stock, we’re in the dark. Custodial banks sit in the middle of these transactions so it’s very unlikely that any company even knows how its vast holdings of stocks are being lent out, and to whom, other than in very broad-brush strokes. The major stock markets do track short selling in the aggregate, and for individual stocks, but they do not report who is lending and who is borrowing. In August the technology heavy NASDAQ reported that 6.9 billion shares of 2,128 companies listed by the exchange were being sold short. Microsoft, Cisco, and Google each saw 63 million, 53 million, and 4 million of their shares traded in short selling strategies, respectively. Indeed, some of each company’s shares sold short may have been provided to hedge fund arbitrageurs out of their competitors’ securities lending operations. 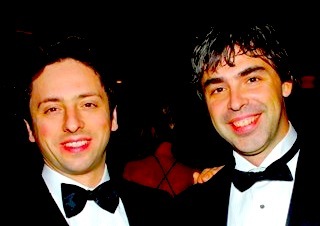 New “Mad Men,” Google’s Larry Page and Sergey Brin. Of course the computer is all these things today, and now with ubiquitous wireless networks the computer has become the all-in-one mobile device. It’s the phone-camera-computer-walkman-TV-gameboy-GPS that goes anywhere, does anything. But to update Adams in one important respect we need to add that finally with Google, and many other firms among the new breed of “tech” companies, the computer has become more than a mere brochure. The computer is an incredibly sophisticated and persuasive salesman. Brochures are inert documents that shoppers flip through. The computer as salesman is an agent, watching us closely, collecting data about our wants, and subtly implanting desires in our consumer minds. How much advertising are we talking about in the grand scheme of Google’s overall business? 95 percent of the company’s revenues were thanks to advertising in 2012. 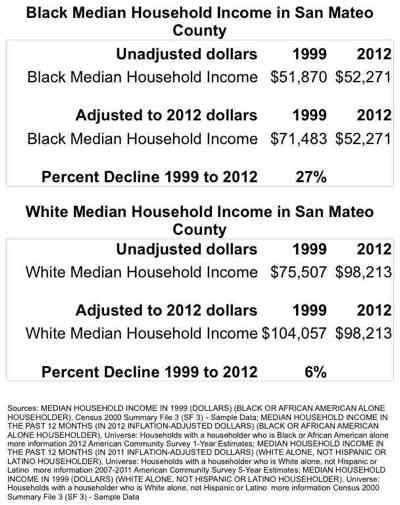 In 2010 and 2011 it was 100 percent. Only with the purchase of Motorola Mobile last year did Google’s revenues shift ever so slightly from advertising to some hardware sales. Last year Google raked in $31 billion in earnings by selling ads. Compare that to the revenues of two of the largest traditional ad companies that just merged, Omnicom, which took in $14 billion last year, and Publicis which claimed $8.8 billion. So why do we call Google a technology company if it’s main business is really selling ads? It has everything to do with how Google steers customers toward purchases. The story of Google’s founding is well known by now. Two Stanford grad students were playfully seeking a better way to search the Internet. In a fit of genius (and with generous federal research funding and the support of colleagues) they wrote an algorithm that made ranking web sites easy and useful. “Don’t be evil,” they said. A component of Google’s secret sauce for page ranking. Then in a flurry of activity which has never stopped, Google’s code writers proceeded to file 228 distinct patents based directly on the original “method for node ranking in a linked database” invention. On top of this the company filed another 3,079 patents, the majority of which are intended to monopolize infinitely more clever means of gathering and processing the personal and social information of web users so as to sell ads at higher and higher rates. In spite of the geeky and clunky language of patent titles like these, the intent behind the code is clear. Track the geographic location of a cell phone’s owner and sell them ads for shops and restaurants nearby. Block competitor’s advertisements and promote those who pay you top dollar. And of course there are many Google patented codes that give the company its creepy powers that Gmail users are familiar with, like “Serving content-targeted ADS in e-mail, such as e-mail newsletters.” Through the various algorithms that now power the main portals of the Internet, neologisms like “google it” by definition mean; provide the world’s largest ad company with a data input so that it can suggest consumer choices for you. So why do we call Google a “tech” company if most of what it does is advertising? That question is probably best directed at the whole tech industry today. Much of the revenues being raked in by corporations public and private, like Facebook and Twitter, are directly tied to advertising. Many of the most confidential trade secrets and the most valuable patents of Silicon Valley’s biggest corporations and fastest growing startups involve data collection and processing for the express purpose of advertising. Perhaps then Silicon Valley’s finest should be called the new ad industry? 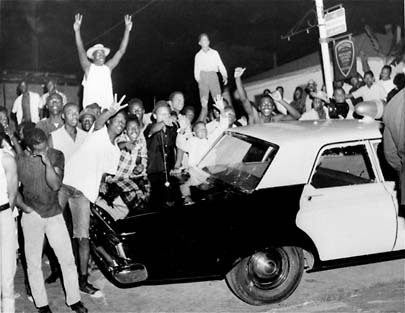 Black youth disrupt American apartheid, Watts, 1965. Disruption was once a theory of social change that inspired the radical Left. In the 1970s scholars like Frances Fox Piven and Richard Cloward developed a disruptive theory of social movements based in particular on the history of the Welfare Rights Movement. In the 1960s African Americans and students, just to take two obvious examples, mobilized massive and small direct actions that disrupted the orderly operation of the economy and the state, creating crises that made change necessary. They literally disrupted American apartheid, and disrupted the draft, and movement of war materiel. As a result, social movements powered by the collective actions of millions of people transformed society, even if it was not always in the ways they intended. Today disruption has become the zeitgeist of the tech industry, and therefore a buzzword animating the very epicenter of capitalism. This time the disrupters’ intentions are to generate profits by the billions. The major intellectual fashion of today is that tech —by tech I mostly mean companies that produce software platforms made potent by wireless networks and new capabilities in data processing— is going to disrupt the slow moving dinosaurs in every industry. The belief is that the disruptive tech rodents are coming to kill and feast on the bones of the sloth-like healthcare corporations, the lumbering banks, the sluggish real estate companies, and to throw the troglodyte governments into disarray. Victorious in a natural progression of predation toward extinction, the tech companies, with the egg yolk of the dinosaurs still smeared on their clever whiskers, will lead the survivors to new vistas of neoliberal wealth and power. In the capital of the tech world, the two-poled California megalopolis of San Francisco and San Jose and all the suburbs crammed into the 50 miles in between, every programmer and engineer under the age of 40 is obsessed with being the next big disruptive force. 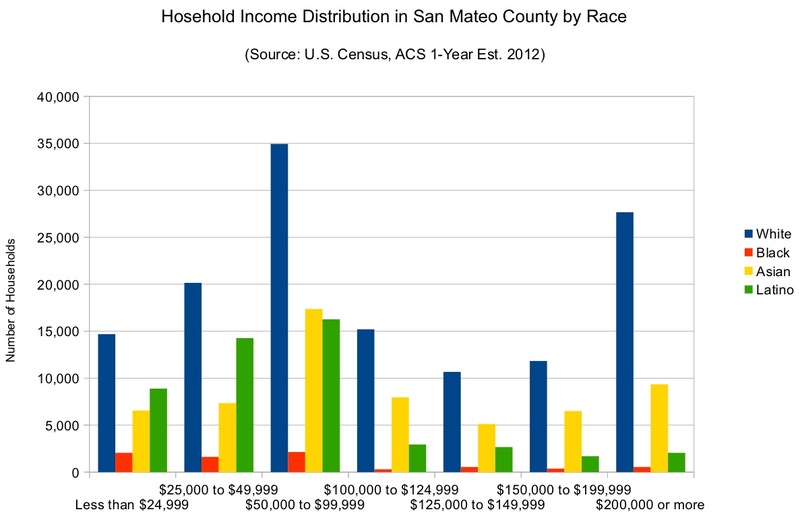 San Francisco is host to the younger tech companies and many of the youthful tech workers. They are drawn to the city by their desire to live in a hip urban playground. San Francisco, their adopted home, has been made into a living laboratory for the disrupters. There are now more tech startups crowded into the downtown sky scrapers, South of Market warehouses, and Mid-Market blocks, than any other city in America. From all over the world baby-faced entrepreneurs are arriving to bunk in $3,000 a month apartments and spend their days furiously writing code toward launch. Yesterday the unruly vandals of computerdom gathered in San Francisco’s SOMA neighborhood for Disrupt SF, a yearly conference. SOMA is a concrete slab of land south of the city’s financial district which over the past two decades has been built up with luxury apartments, and populated by web companies stuffed into old brick low-rises and converted garages. Once SOMA was considered unseemly. It stood in contrast to the waspy Financial District north of Market Street. Much of SOMA was built upon landfill. For decades after World War II SOMA was San Francisco’s haven for elderly hotel tenants, ex-sailors, dockworkers, white ethnics, Filipino immigrants, the gay community, and other social castaways who built a thriving community. Today SOMA’s square feet are among the most expensive in U.S. real estate. Disrupt SF, probably the tech industry’s biggest startup conference, has easily filled one of San Francisco’s enormous conference venues. The city’s many conference halls are favorites of the tech industry. For years Apple has debuted their latest i-whatevers at the Yerba Buena Center, and Oracle convenes its big developer’s conference in the city’s Moscone Center. TechCrunch, an industry PR machine that hosts the Disrupt SF conference, moved to San Francisco three years ago, right into the SOMA neighborhood. Amazingly they cited the cheaper rent of the city compared to Palo Alto, but the migration of one of the tech industry’s major web publications was also due to an obvious need to be closer to the startup mania that has overwhelmed San Francisco. 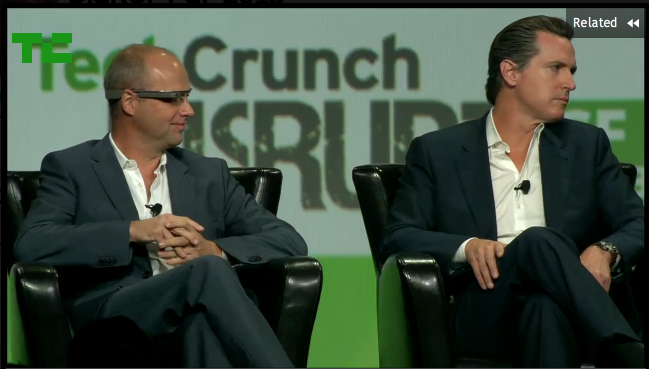 Disrupt SF is like most big industry conferences. Attendees pay a lot to get in. Badges around necks, and bags slung awkwardly over their shoulders, attendees roam about the cavernous exhibition floor. But unlike many business gatherings the average age of the techies at Disrupt SF seems to be about 30. Youth, stupid and beautiful and naive youth empowered by its idiot savant mastery of technology, is everywhere in abundance. Every fresh out of college computer whiz believes in their idea with religious zeal. They see the world in problem sets, like the sets their engineering professors handed them, and they are ready to solve the equations, or debug the code. Fortune and fame awaits. Many of the conference goers shy away from anything they feel to be “political.” If they share a political worldview, it’s a vague libertarianism grafted to a social liberalism, very much like what Richard Barbrook and Andy Cameron called the “Californian ideology.” They see all big institutions as pools of inefficiency in dire need of their fixes. Higher productivity is an assumed blessing. They style themselves as a bit rebellious and freedom loving. At Disrupt SF sponsors’ brands are plastered about the exhibition space. A couple thousand feet above the pavilion a rented airplane (or is it a drone flown by a 20 year-old using an iPhone app?) is printing advertisements in the sky to promote a cloud computing firm. Giants like IBM and Chevy are front and center with ample floorspace. Chevy parked a hybrid car in the middle of the hall and is seeking app developers to hack its computer system. Other behemoth corporations like Intel and Samsung have smaller booths inserted among the tiny mammals. They’re hoping to attract developers to polish their big enterprise products and retail offerings. The vendors hall is organized in long rows of little tables where companies promote themselves to strangers who flow through tapping their phones or gazing at any of the hundreds of flat screen displays glittering with maps and flashy videos. Symbols of sexism are visible here and there. One tech company CEO is walking around the pavilion posing as a boxing promoter, joined by a tall blond in short shorts — his “ring girl.” There are lots of men about everywhere, but also a good number of women, demonstrating that the tech industry is perhaps changing from a boys club into something more balanced. There’s a Brazilian delegation of startups in one corner, and next to them are the Irish. The Brazilian tech firms are selling the same kinds of gizmos as the Americans. One company is showing off its software and video cameras that retailers install to monitor their shelves. The computer by itself can learn to recognize particular products from sight, and the computer watches patiently as shoppers remove items from the shelf. The company’s CEO tells me their system will help retailers keep their stores stocked optimally. By using heat maps that visualize which shelves are trafficked most heavily his computers can monetize product placement and shelving design. The computers seem to do most of the thinking. 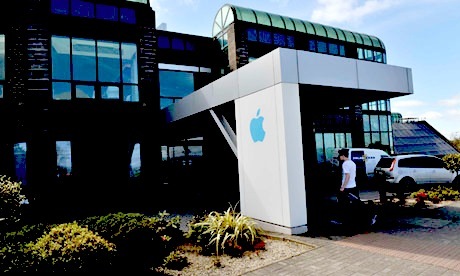 Apple, Inc.’s Ireland offices in Cork. Apple originally opened its European subsidiary in Ireland in order to avoid taxation of overseas earnings and only recently has begun staffing the office with a workforce — still a tiny percentage of the company’s overall payroll. A friendly member of the Irish delegation says his country is still pretty devastated by the global recession, but that the tech sector is booming in Dublin. His company develops software that is supposed to coordinate a company’s workforce better, and he says they’ve already sold it to Disney, Ebay, and the shoe and apparel brand Puma. Not quite a disruption, but probably very lucrative. What’s disrupting the Irish tech sector, he says, is a shortage of skilled labor. Tech companies flocked to Ireland in the 2000s for the Island’s labor force, but also very much for the near zero taxes many corporations like Google and Apple benefit from there. Each one the hundreds of CEOs and CTOs in attendance —regardless of age and experience virtually everyone here is the “chief” or “founder” of something— eagerly hopes the next interested visitor will be the reporter who will feature them in Wired or the Wall Street Journal in a glowing article comparing them to an embryonic PayPal. They desperately dream a Sand Hill Road investor, up for the day from the little valleys of the San Mateo Peninsula where the silver-haired patriarchs of the tech industry abide, will walk up, shake their hand, and listen for a five minute pitch. Of course most of the disruptive rodents will perish under the feet of the dinosaurs, and disappear into the maws of their hungry litter-mates, but the whole point of Disrupt SF is to celebrate the few startups that will make it. A select few go head-to-head in the “startup battlefield.” Participants are promised exposure, prestige, press, and other business manna from above. The battle, the unbridled competition between bootstrap companies, invokes a survival-of-the-fittest struggle to overcome. In reality it’s a somewhat under-whelming series of presentations by companies on stage as they light up their software and walk the audience through its disruptive potential. Disruption, as the tech industry’s intellectuals conceive of it, is very Schumpterian; constant innovation will destroy inefficient pools of capital, but set the stage for whole new levels of accumulation. Unlike Schumpeter’s original writings, and the literature on creative destruction based off his essential insights, the tech industry’s contemporary ideology of disruption includes a very partisan belief that they and they alone are the agents of innovation, and their singular industry, tech, will invade and burn and rebuild every other industrial sector, whole landscapes of the economy where real innovation doesn’t happen. Their ideas and software will determine which companies in agriculture, education, and energy rise to the top. Many in tech also believe that their innovations are radically egalitarian, democratic, and empowering for the average person. One company selling software to the state of Massachusetts is creating transparency in how transfers, in the tax code and budget outlays, differentially affect households across income brackets. Another company wants to be the Facebook of local communities, connecting people on a geographic basis. Numerous startups are trying to find the next best way to create a mobile electronic payments application – the Holy Grail of a perfect credit card in the phone. The list goes on and one, hundreds of little companies trying to solve the world’s problems, make everything cheaper, more abundant, and immediate. However, when it comes to their interactions with the large titans of industry, it’s not clear that the disrupters are really up to all that much destruction. Other sectors of the economy that are employing tech’s newest revolutions in cloud computing, wireless communications, big data, and geo-location, are just improving on capabilities they have already attained, at least in quality if not scale, and reinforcing their dominance over markets. WalMart, Ford, Coca-Cola, Levi’s, and Monsanto aren’t going to be disrupted by tech’s rodents. They’re going to become eager customers, or else buy them up and fold them into some segment of an existing corporate technology division. The profits for the Fortune 500 will continue to flow and grow. The dinosaurs are bulking up on the rodents. So far tech has tended to reinforce the power of the dominant corporations, while a few tech companies have become behemoths in their own right. The celebrities of Disrupt SF are a sign that the real forces behind the tech industry aren’t as iconoclastic and democratic as they’re made out to be. The biggest name speakers are executives of multi-billion dollar corporations and private equity groups. The investors especially are a conservative clique; as many of them are Republicans as are Democrats, but regardless of their party affiliation their business is to capture value for their clients. The Winklevoss twins, born into wealth, caricatures of privilege, are among the financier supporters of the tech industry’s startup sector. Well known technology focused private equity groups like Kleiner Perkins Caufield & Byers, Microsoft Ventures and Sequoia Capital loom over Disrupt SF. 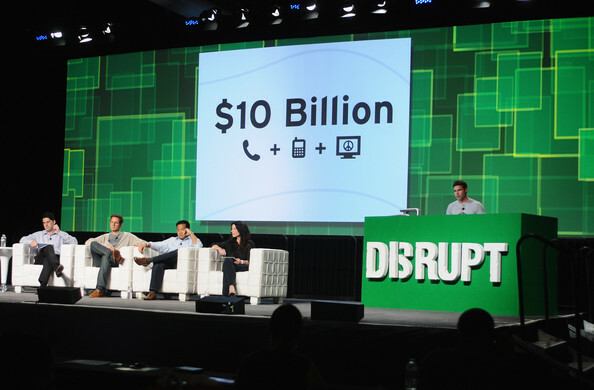 Even the Winklevoss twins, made famous as the dupes of Mark Zuckerberg in the film adaptation of Facebook’s founding The Social Network, are at Disrupt SF in search of acquisitions, or maybe just to be celebrated. Their firm, humbly named Winklevoss Capital, is one of the investors behind the virtual currency Bitcoin. 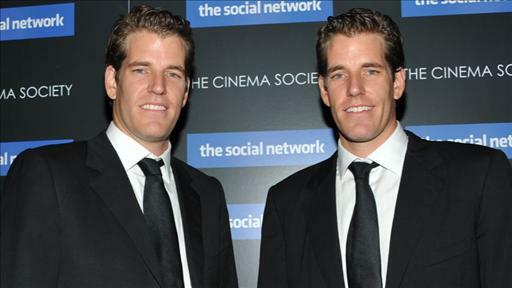 (Of course the Winklevoss brothers’ investment in Bitcoin was in actual dollars, as they expect their returns to be.) Private equity executives sit on the panels of judges that weed out the weak from the strong in the startup battles at Disrupt SF. The managing partners of the biggest banks speak frequently throughout the three day conference. Their gravitas is obvious and constantly deferred to. Their money is literally dominant. The event wouldn’t happen without their interest. If the money behind the startups is actually big, and if they’re not disrupting the titans of industry, what then are the techies really destroying? Where’s the disruption actually happening? 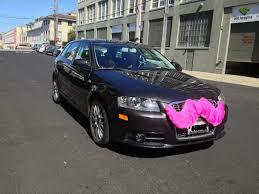 One of the ubiquitous cars driven by a Lyft user around San Francisco, the laboratory of the tech startups. It’s fitting that the tech industry’s big startup conference is in San Francisco this year. 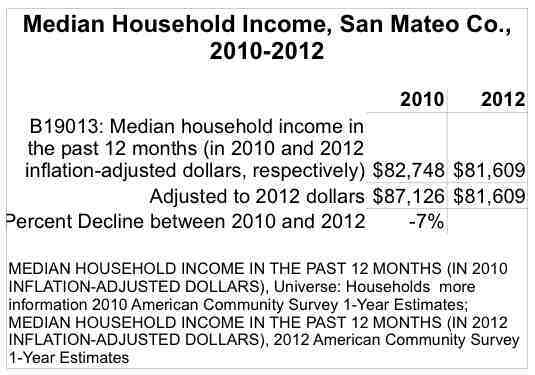 Over the past five years San Francisco’s communities and most competitive industries have been profoundly disrupted by the tech industry. Taxi cab companies have taken to staging monthly protests against the complete lack of regulation of the city’s burgeoning ride-share companies, essentially cabs, but driven by private drivers, lacking commercial insurance, and untaxed by the city or airport. Ride-sharing is extremely profitable for the few companies running the major app software that links drivers with passengers. The city’s hotel industry, as well as some elected officials, are no fans of Airbnb and similar services that create unregulated and untaxed hotel rooms in private residences, driving up rental prices in the process. California lieutenant governor and former San Francisco mayor Gavin Newsom talks about MOOCs with Udacity founder Sebastian Thrun at Disrupt SF. Cabs and hotels are just two examples of how tech is disrupting smaller, previously competitive, regulated, and taxed sectors of the economy. California’s educational system has been enduring a chronic and extremely disruptive crisis for over a decade now thanks mostly to massive tax cuts benefitting real estate owners and the wealthy. Tech companies developing MOOCs, so-called massive open online courses, are keen to profit off the unraveling of California’s educational system. At disrupt SF California’s lieutenant governor Gavin Newsom shared a stage with, and praised Sebastian Thrun, the founder of Udacity, one of the large MOOC developers. MOOCs have been criticized by many as engendering a more unequal education system, but their promoters claim the opposite. In the social realm the tech companies have turned San Francisco into a dormitory community for their workers. Thousands of Apple, Google, Ebay, and other tech company employees are shuttled daily down to Santa Clara in massive luxury buses. To many, the much-maligned tech buses are a metaphor for how tech makes money; technology companies mooch off of publicly funded infrastructure and publicly funded research and social cooperation. Their single most important innovation involves the strategic deployment of intellectual property laws to monopolize a technique of harvesting value from these public goods. The bigger tech companies have also perfected the art of transfer pricing, thereby minimizing their taxes and maximizing their profits. Facebook and Google are the masters of this model. Both offer “free” services, but through clever algorithms and vast troves of data they claim as their property, they create captive spaces in which to spray advertising to the tune of billions in revenue every year. They sell data to the highest bidders. Their major disruptions seem to be dissolutions of privacy and avoidance of federal taxation.